Real Estate Appraisal - home appraisal - appraiser - real estate appraiser - residential appraisals - real estate mediation - Haverhill, MA - Property North Appraisals, Inc.
Property North Appraisals, Inc. located in Haverhill, Massachusetts was co-founded in 1989 by Kristen Leone and Beth Parolisi. PNA is located in the Merrimack Valley which is in the northeastern most section of the state bordering the state of New Hampshire. Our main philosophy has been to provide knowledgeable and experienced appraiser's to cover specific locations in New England. We have maintained this philosophy throughout both busy and slow times in order to provide a quality product. As a result of this experience we have become residential experts in specific locations and types of residential properties including but not limited to waterfront and high end estates. Our commercial expertise includes market studies, feasibility studies, proposed subdivisions, apartments buildings, commercial and industrial condominiums, office buildings and mixed use properties. 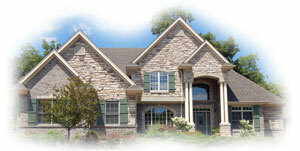 We provide residential and commercial appraisals, FHA appraisals, divorce, estate, relocation and review appraisals. In addition to appraisals, we provide real estate consulting services and real estate mediation services. Our residential appraisal coverage includes: Essex and portions of Middlesex Counties in Massachusetts and Rockingham County in New Hampshire. Our commercial appraisals cover a wider territory including Essex, Middlesex and Worcester Counties in Massachusetts and Rockingham, Hillsborough, Strafford, Belknap and Merrimack Counties in New Hampshire.